For anyone who has attended the HiMSS Conference, you know it can be overwhelming. This year, over 1,300 exhibitors showcased their products and services to more than 40,000 attendees - seemingly occupying every square inch of space at The Sands Expo and Convention Center. But from an exhibiting standpoint something was noticeably different. 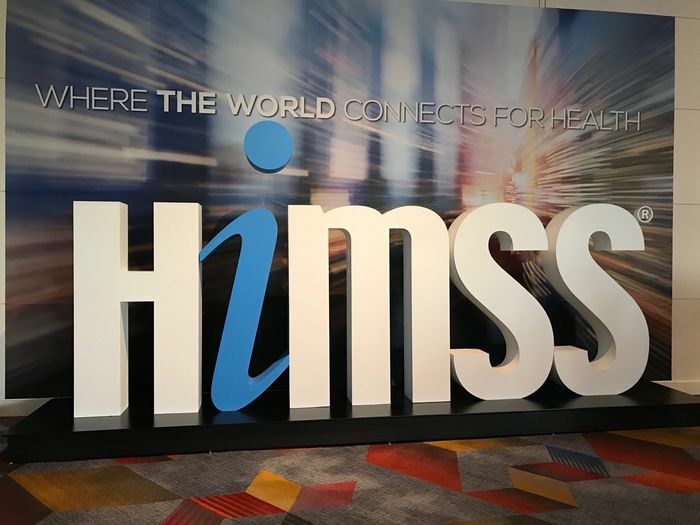 At previous HiMSS conferences, the trade show floor was overflowing with the biggest, brightest, latest, and greatest exhibits. The past three conferences feeling much like an "arms race" of cool technology. But this year saw a seismic shift in strategy. Exhibitors finally recognized that, while cool technology stops attendees in their tracks - it does not necessarily move them from the aisles, into your exhibit space. This is always a topic of conversation as we consult our clients attending large shows - but it seems as though this year at HiMSS most exhibitors finally got the memo. Realizing, from a return on investment standpoint, attendees don’t always ‘buy' what they see from the aisle. This year many exhibitors chose to bypass some of the “wow” technology that has been synonymous with HiMSS, and re-position their strategy to better attendee engagement opportunities inside their booth space. Just as intriguing, was the emphasis on more productive and purposeful attendee interaction. I observed far fewer “self-guided" demo stations, and far more personal engagement. There was a noticeable emphasis on driving attendee traffic into the booth space for discussions and product demonstrations. Theaters that were once placed on the aisle, had a more strategic position inside the exhibit space - allowing exhibitors to have more meaningful attendee engagement interaction both pre and post presentation. This theme carried over to meeting spaces, demo areas…and even catering seemed more strategically placed inside the booth. I walked away from HiMSS this year having a much different feeling than in previous years. That our industry has come full circle - and is returning to its roots of strategic and meaningful engagement.